HARARE – Nelson Chamisa was on course to be elected president of the Movement for Democratic Change unopposed on Sunday after Douglas Mwonzora, who had declared an intention to challenge him, said that he was now angling to stay on as secretary general. Mwonzora’s dramatic change of heart, announced to the MDC’s Manicaland provincial party, now puts him in a scrap with Charlton Hwende who leads in nominations for secretary general. Chamisa had already picked up nominations from the United States, Matabeleland North, Matabeleland South, Midlands, Mashonaland West, Mashonaland East and Mashonaland Central branches as they headed to Manicaland, Mwonzora’s home province and his only realistic shot at securing a nomination. Manicaland voted for Chamisa as leader, and picked Hwende for secretary general leaving Mwonzora’s political future up in the air. Then, in a dramatic move, Mwonzora appeared with Chamisa on a stage to announce he was abandoning his plan to challenge the leader, and asked the party to support him as he fights to retain the position as secretary general. Chamisa spoke first, telling supporters: “I spoke to Mwonzora and said the feast is for us all, we’re not supposed to fight. I was left holding (Morgan) Tsvangirai’s jacket, let me wear it. “We have gone around the country. We want things that build the party. So, we spoke, and we agreed that each one of us should play in their position. I said to him leave me as the captain, and pass me the ball to score. Mwonzora, who will now bank on Chamisa’s soaring popularity to convince the MDC to keep him on as secretary general, said he was leaving Chamisa to “finish what he has started”. The 41-year-old Chamisa secured a historic 2.15 million votes in elections last year, according to official data – the most by any opposition leader. 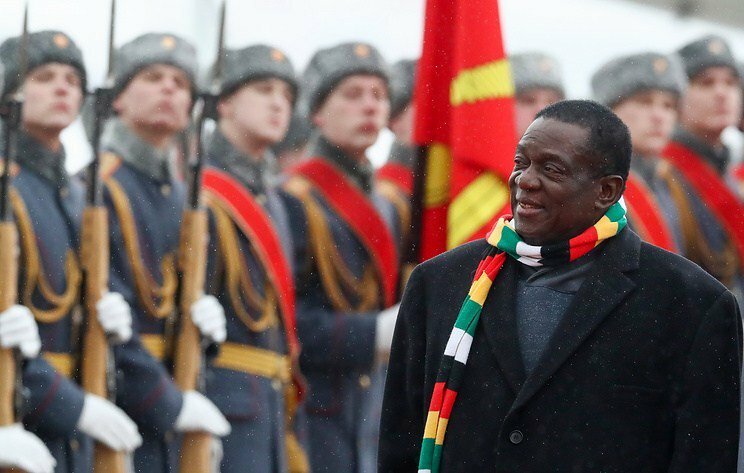 Emmerson Mnangagwa, declared winner by the Zimbabwe Electoral Commission, secured Mnangagwa 2.46 million votes. “I, as Douglas Mwonzora, who hails from here in Manicaland, we have agreed with the president that at this forthcoming congress, the president will be Nelson Chamisa,” Mwonzora said as crowds shouted ‘Nero! Nero! Nero!’, which is Chamisa’s nickname. Elias Mudzuri, currently one of Chamisa’s three deputies, has so far failed to pick up a nomination of any kind, increasing the possibility that he would be an ordinary member after the MDC congress running from 24 to 26 May.